Beginning his 8th season as Director of Instruction at the Butch Harmon Floridian, Claude Harmon is in the vanguard of the new generation of golf teachers. Steeped in tradition both his grandfather, Claude Harmon, and father Claude “Butch” Harmon Jr., have been the dominant teachers of their generation. The Harmon family pedigree has been the perfect foundation for Claude to build his knowledge of golf instruction. 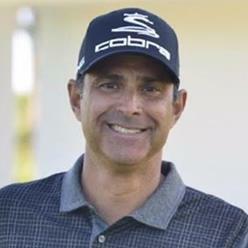 Claude’s teaching philosophy and methods have delivered lower scores and better, more repeatable swings for seasoned tour players, celebrities, and amateurs of all abilities and is now ranked 12th on Golf Digest's 2017-2018 Best Teachers in America List and a Golf Magazine Top 100 Instructor. Claude plied his trade and learnt his craft around the world including Scotland, Portugal, Dubai, Macau and various locations across the United States. He worked full time on the European Tour from 2002-2006 traveling around the world coaching some of golf’s best players. His current students are World #1 Dustin Johnson, Brooks Koepka, Rickie Fowler and Jimmy Walker. His past students include Ernie Els, Adam Scott, Darren Clarke, Trevor Immelman and Yani Tseng. Claude is a TPI Certified Level 3 Golf Fitness Instructor, as well as TPI Level 2 Certified in Biomechanics and Junior Coaching. He is uniquely qualified to apply “new school” teaching concepts in an “old school” fashion. He is a regulator contributor to Sky Sports Golf and the Golf Channel.